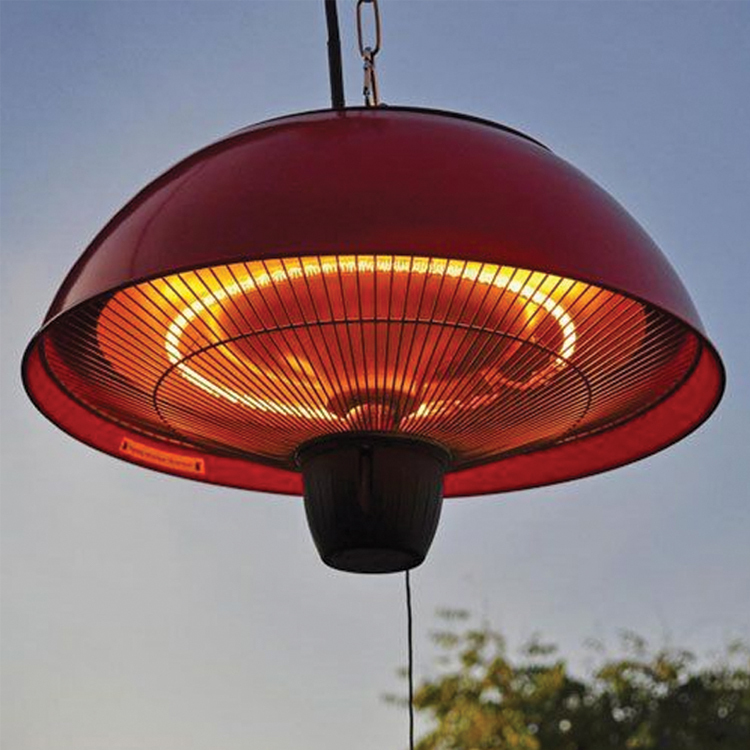 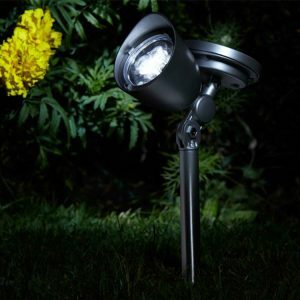 Efficient, powerful and sleek, this hanging infrared electric heater is perfect for attaching to outdoor pergolas and will keep everyone toasty from above during cooler days or nights. 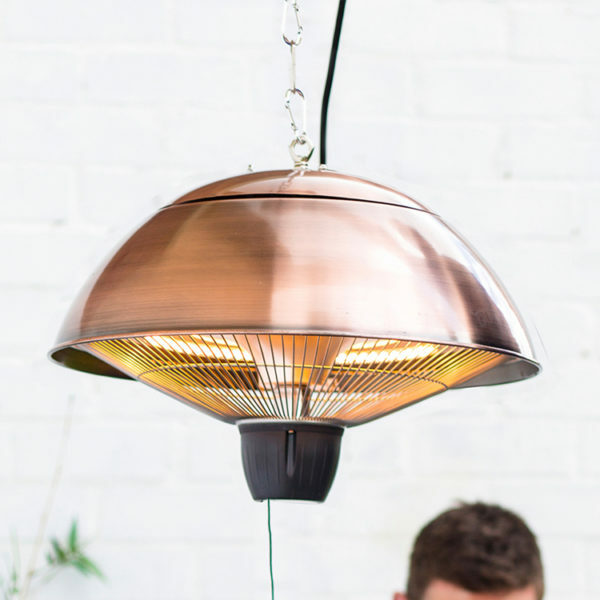 In the latest copper coloured finish, this heater is a fashionable and functional way to heat your guests and keep everyone comfortable when the temperature drops. 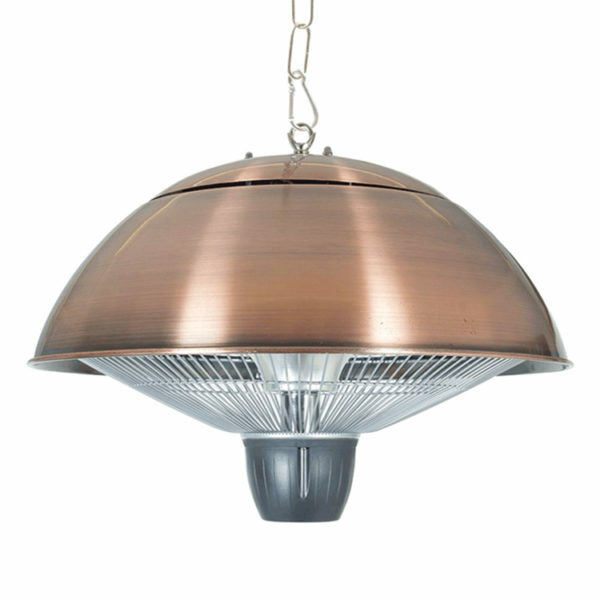 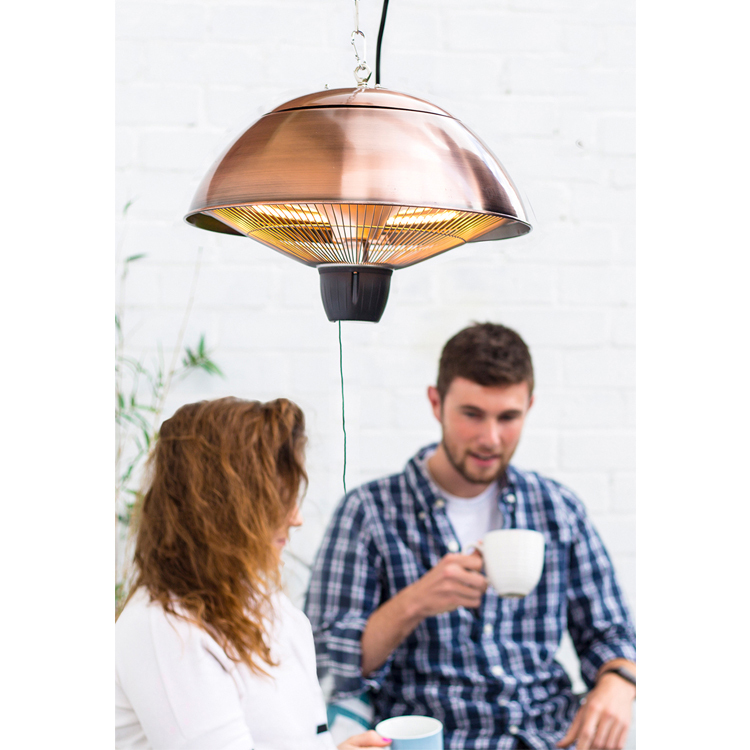 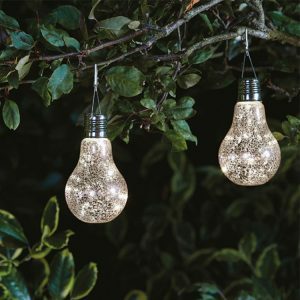 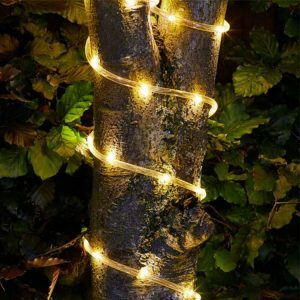 Eco friendly with no fumes or emissions and providing more than 5000 hours of instant heat, our hanging copper heater will be sure to keep you warm all year round.